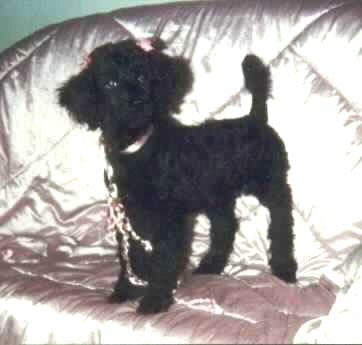 Margot was our first Standard poodle. 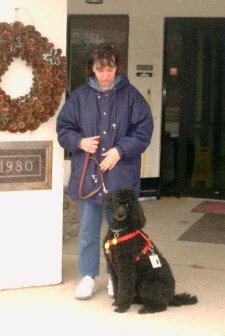 Margot was also our first certified therapy dog! 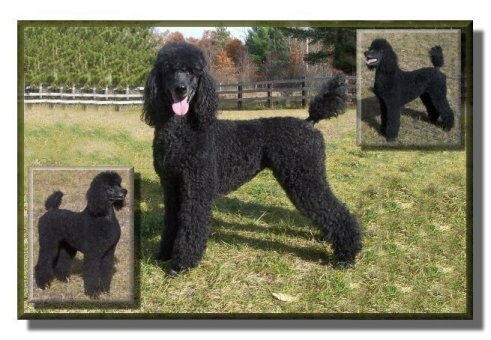 She qualified for her TDI certification from Therapy Dogs International INC.
Margot's apricot son, Sully from her last litter has made us proud as he is also now a Therapy Dog. 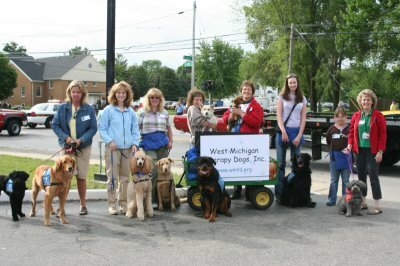 The West Michigan Therapy Dogs. 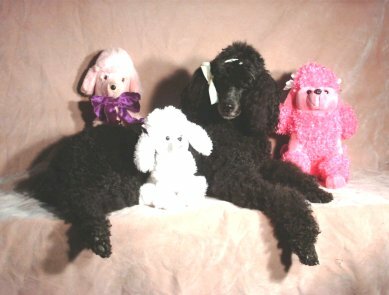 Margot has a very sweet personality which has made her very successful as a therapy dog. She loves to give kisses and is very sociable with everyone she encounters. Margot had three litters of wonderful puppies for us. 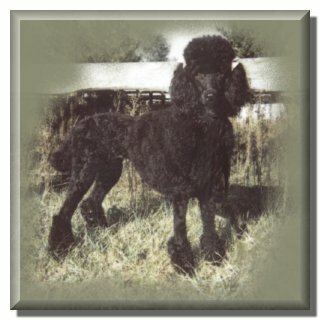 which they will carry on in the next generation of our poodles here at Rivers Edge. 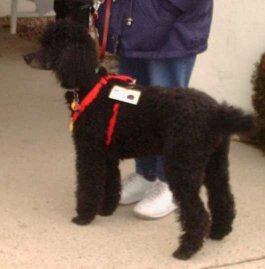 Update 2013: One of Margot's daughters "Gidget" here at Rivers Edge has been certified as a therapy dog. to those living in nursing home invironments.